In the following post you’re going to learn just how easy it is to track the opens and clicks of the emails that using a number of both free and paid tools. I’m also going to give you a bit of insight into the processes that we use here at UK Linkology. One of the difficulties of tracking the success of a blogger outreach campaign is knowing what is happening with your emails – are they getting responses? Are links in your emails being clicked? Are these even getting a response? There are a number of blogger outreach tools that I’m including below that have been long time favourites of mine but there are a few fresh faces that I’ve been testing recently and myself and the team here have been having some great success with on our campaigns. This is a great tool that I’ve been testing recently from the team at Hubspot – as you’d expect you can connect this to Hubspot but it’s also compatible with Gmail and Outlook. The paid version will also give you added Salesforce integration. Get Signals will help you track the opens and clicks of your emails, the interface is clean and gives you all the information you need to know which include notifications, times, locations and numbers of views. I also suspect that signals is pulling in Gravatar data for the images of the people behind the email addresses too. Signals is free to use for up to 200 notifications per month and you can expand that to unlimited for 10$ per month/per team member. Now, I do prefer the Signals interface but Yesware gives you a lot of bang for your buck as you get a system for managing email templates built in along with support for team collaboration and detailed reporting. Another thing I love is the reminders section, although there are standalone systems like Followupthen.com that you could use instead. There’s also Salesforce integration too if you need it along with support for a number of other awesome CRM’s such as SugarCRM and Highrise. Premium plans start from $5 per month but you can start off with the free version to get a feel for it. Banana Tag is a system that I do need to spend some more time investigating but the set of features does make it look like a very attractive tool for tracking your emails. It’s got the usual tracking options along with notifications, analytics and the ability to sync with your CRYM. Banana Tag supports Gmail and Outlook as you’d expect but what really stands out to me is the ability to track emails with other clients – even mobile emails too! The free account does seem somewhat limited with 5 email tags per day and no reporting but for $5 you can step that up to 100 email tags and your reports amongst some other benefits. There is also a new team option that does look very useful with integration of Google Analytics – well worth a look. Despite how incredible all of these tools are, I always find myself missing particular pieces of data that would be incredibly useful to know. 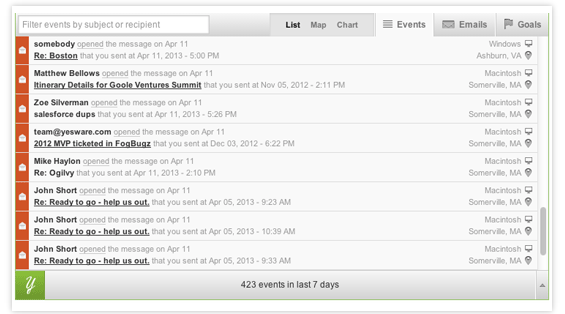 One of which is the response rate to the number of emails sent for each template. Now, I know there are tools that will do this, but the problem that I find that we keep having is the reliance on a huge number of different tools which just makes things more complex than they need to be. That’s why I can never drag myself away from using BuzzStream to manage outreach campaigns, it tells us what we need to know to optimise our campaigns, which templates are performing, which ones aren’t and it keeps everything organised. Now I understand I’m coming off point a bit here but I want to talk quickly about how we tackle blogger outreach here. We start off using Inkybee to find blogs, I know that BuzzStream is great for link prospecting too but I just prefer the data that InkyBee brings back which is focused more around audience size, blog activity and engagement. It’s this type of data that we need to look at rather than just looking at the usual SEO metrics because the real truth is that there is more to a link than just the SEO benefit, something Joe Pack talks about here. InkyBee can help you manage relationships and a good portion of the outreach process, but once we have our list of bloggers we then export it to an Excel document, add filters and cut out blogs below our quality metrics. We then import everything back into BuzzStream, which will also pull in most of the contact details so we can contact these blogs easily without much hunting around for contact details. 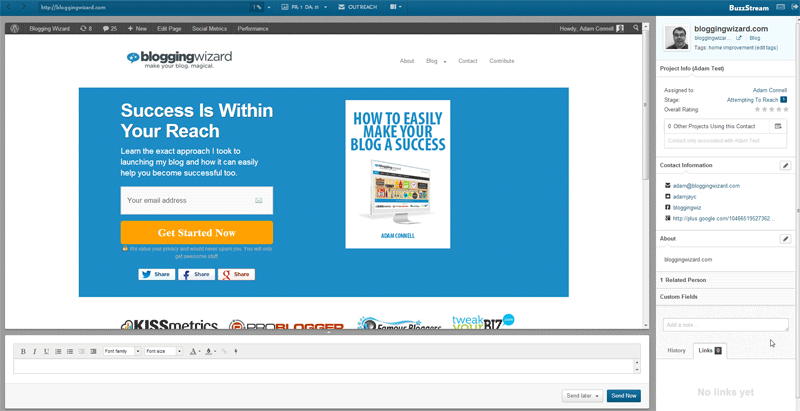 The next step is to start contacting bloggers, now I personally prefer using the BuzzBar because you have everything you need; from the contact info, history and other bits and pieces on the right hand side to the outreach module at the bottom of the screen allowing you to easily access email templates. There’s also site metrics and buttons allowing you to easily cycle through sites across the top. We don’t just look at site metrics such as domain authority – we look at other quality signals too. After all, there’s more to a site than just Domain Authority or Page Rank, but it services as a benchmark. 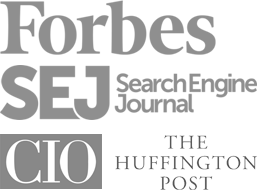 Note: For some insight into some of the quality signals that we look at, I recommend checking out this post I wrote for Search Engine Journal a while back. Once we’ve found a site that meets our quality guidelines we’ll load up a template, personalise it as much as possible and fire it over to the webmaster. We’re not fans of just blasting dirty and generic emails, some people may be fine with having 0.2% conversion rates, but we’re not. It’s important to remember that real people engage with real people, and while most people apply this type of thinking to social media, it has a huge impact on blogger outreach campaigns, something I talk about in a lot more depth here. Another thing to remember is that sometimes just emailing isn’t enough, that’s why we support our blogger outreach campaigns with Tweets, blog comments and other tactics – try going the extra mile and see what happens. How do you approach your outreach campaigns? We’d love to hear more in the comments below.